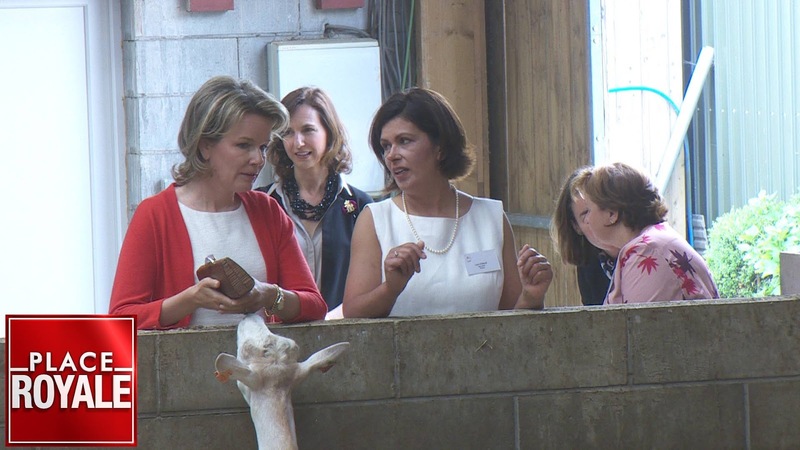 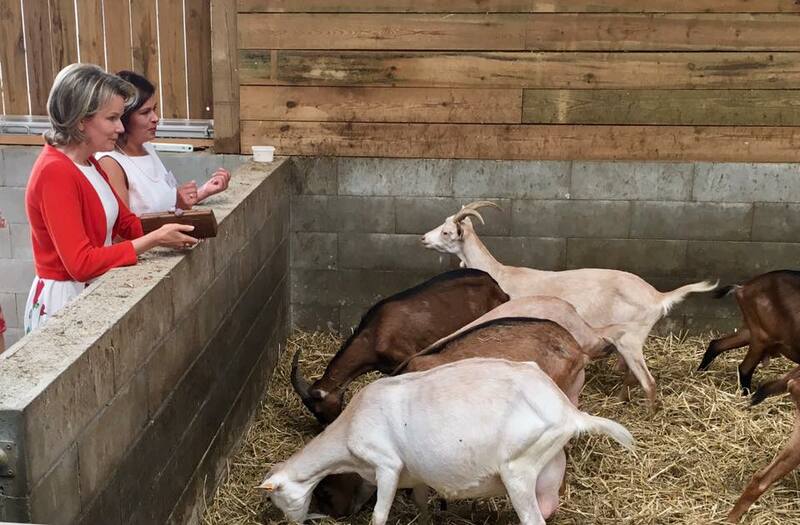 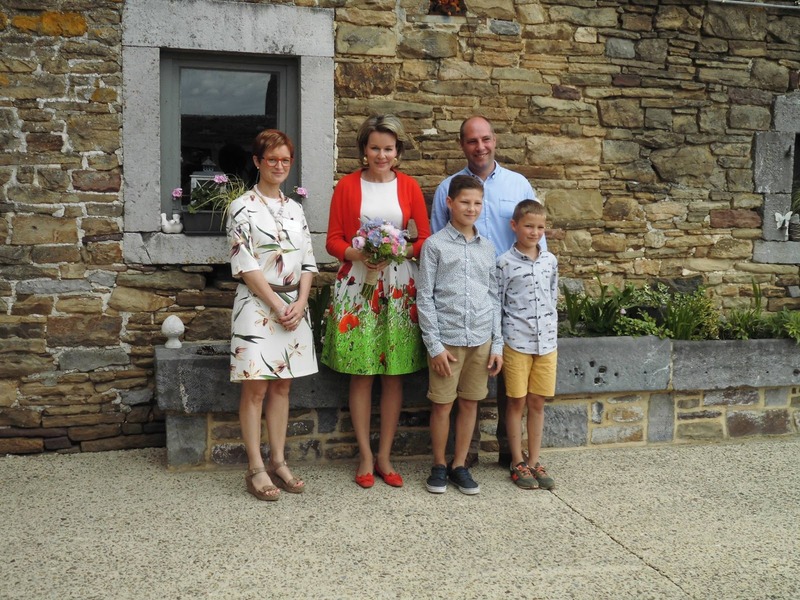 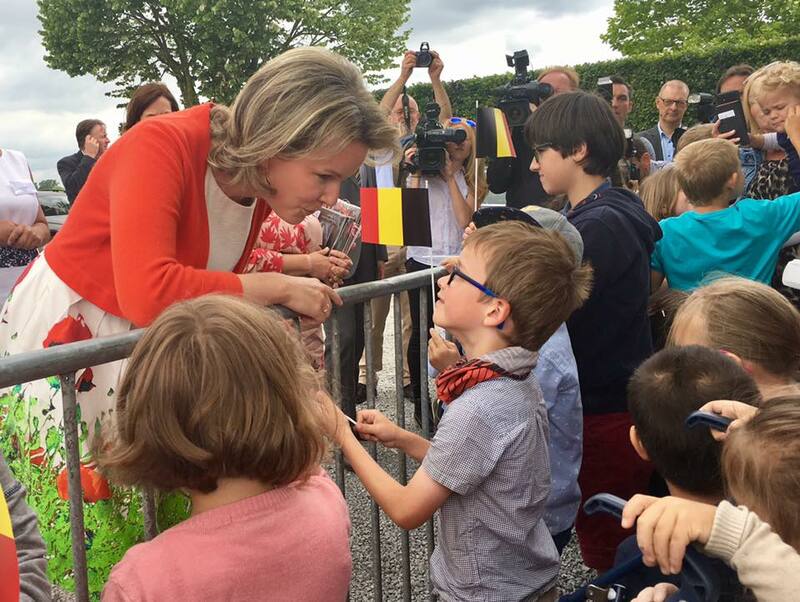 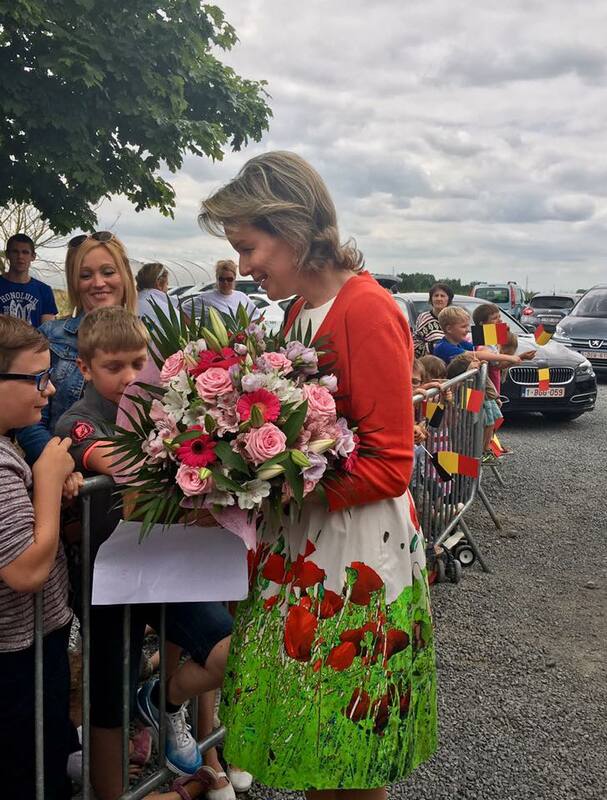 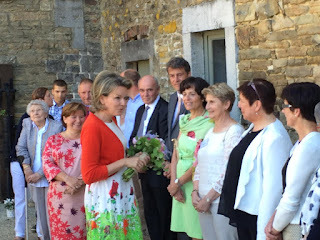 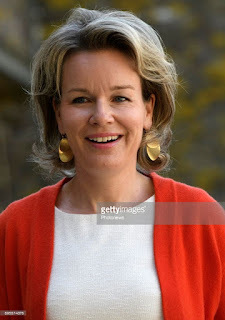 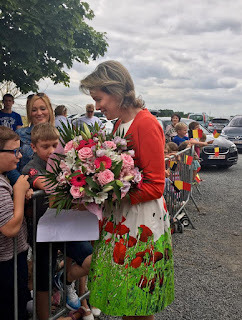 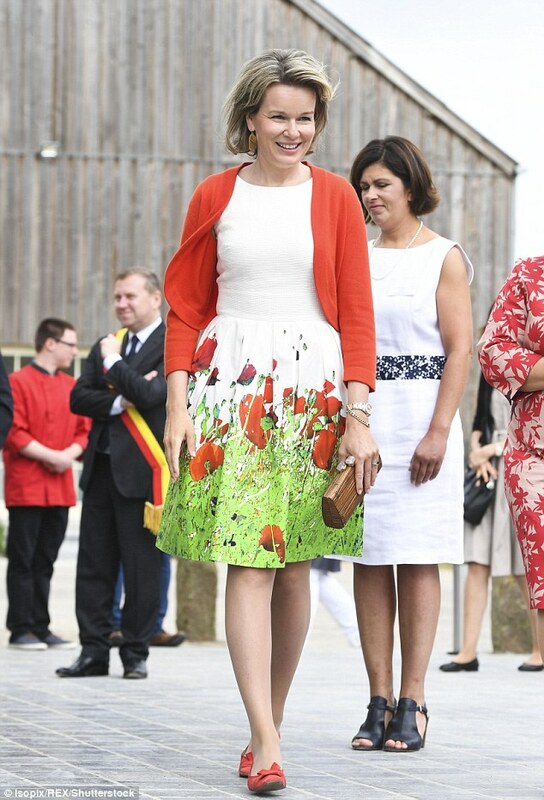 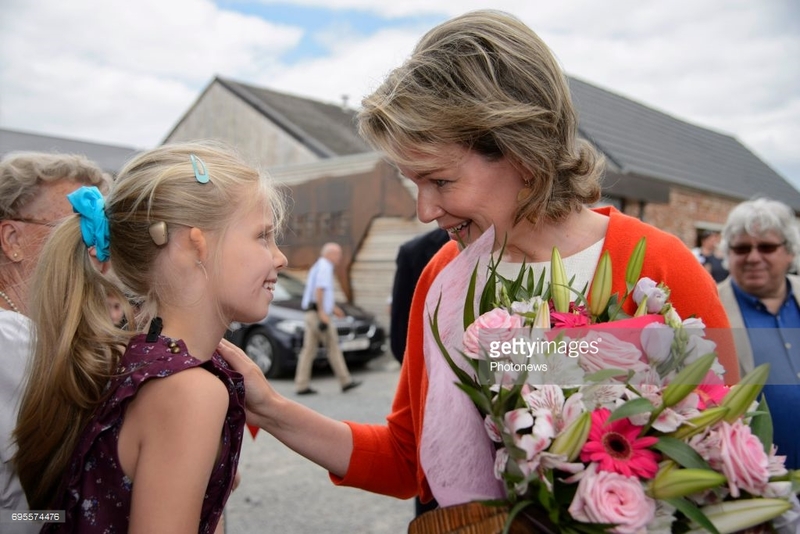 Queen Mathilde visited two farms led by women. 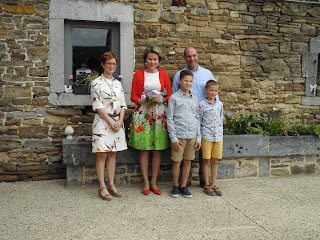 At the Ferme de Coux in Maillen bleu-blanc-belge cattle is raised. The queen was met by ten female farmers from the region. Next stop was La Petite Campagne in Bovesse, a goat farm that also grows parsley and produces cheeses.